The overall objective of this report is to propose a methodology targeted at creating the most favourable negotiating environment for all project stakeholders—including the project developer—to agree on project acceptability conditions. This process has been partially applied to a real CO2 Capture and Storage project: the ULCOS project (see below). This report provides four in-depth case studies detailing the critical early steps that a project most go through to first understand, then manage, the social environment in which a project is taking place. The case studies capture the context for each step in the process, as well as examples of the methodologies used, the results achieved and the lessons learned and recommendations for other projects. 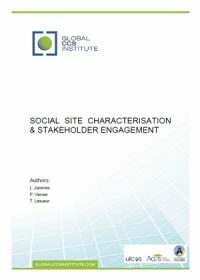 The case studies cover four stages in two phases, the first three explain the key stages in the social site characterisation phase, the fourth the enactment of a stakeholder engagement strategy. Carbon capture and storage (CCS) has a critical role to play in mitigating climate change and providing energy security. Fundamental to that advocacy role is a commitment to sharing the best possible research and information about the technology to our members and the wider public. This report has been designed to provide an accessible summary of an extremely comprehensive body of research. It is hoped that the review will provide a quick and helpful guide to emerging thinking and best practices for those working to improve public understanding and acceptance of CCS technology, with extended bibliographical references to assist with further research. Climate of the Nation 2013 benchmarks Australian attitudes to climate change, related policies and solutions. In mid-2013 the report found that two-thirds of Australians accept that climate change is real as well as a growing understanding that climate impacts are already occurring, no longer just threats for the future. 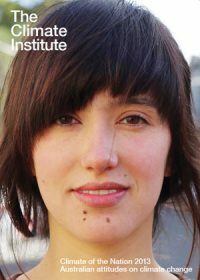 The report, from The Climate Institute, also finds that there is no foundation for claims that the 2013 Australian Federal election is a ‘referendum on the carbon tax’, and that a growing majority of Australians think that the country should be a leader in finding climate solutions - a number that is up for the first time since 2007, when The Climate Institute first started tracking public attitudes towards climate change. The authors of the 3S Working Paper describe and consider the emerging community energy sector in the United Kingdom. 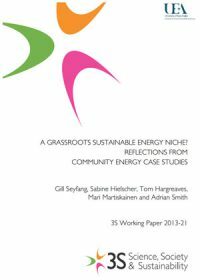 If community energy in the UK is to contribute to a shifting energy mix towards decarbonisation, it requires imaginative policy support, recognition of its distinctiveness as an innovative sector (rather than attempts to make it fit the commercial ‘innovation’ mould), and appropriate support and resources. Community energy groups can be an influential and diverse force for change if supported effectively and empowered appropriately. In partnership with Shell Canada, TransAlta commissioned a polling firm in the summers of 2010 and 2011 to conduct research amongst Canadians and Albertans regarding their perceptions of carbon capture and storage (CCS). Both corporate entities, with two separate CCS projects (Shell’s Quest and TransAlta’s Pioneer), felt that with the shortage of established data on the subject of public perceptions on CCS, this initial research would serve to create baselines of perceptions not only at the local level, where the coal-fired plant Keephills 3 and the future carbon capture facility of Pioneer would be located, but also to gauge the broader public acceptance for CCS, and to better understand where people would have questions regarding the technology, so that these could be addressed. What people told the survey, would form one of a number of pillars that would help determine a public engagement strategy, so the project could ensure they were addressing the right issues that people had raised questions regarding. This initial polling activity in 2010 was designed to establish both an Alberta and a Canada baseline for the purposes of Project Pioneer. In August 2011 another set of 1600 interviews were conducted to see if the perceptions of Albertans towards CCS has changed. 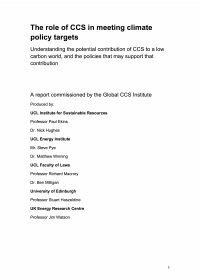 Global observation by the scientific community of CCS demonstration projects has permitted a much wider understanding of aspects of CCS more closely aligned to the social sciences (i.e. sociology, anthropology, psychology, communications, and economics). This experience has provided insight, to some degree, into the public’s reaction to CCS and has been instrumental in informing several of the recent guides for designing CCS-related public outreach, communication, and engagement programs. Many guides for public outreach recommend that the developer take the necessary time during project planning to obtain a solid understanding of the concerns and perspectives of a project’s stakeholders. These should, in turn, be used in designing and implementing project deployment. In many ways, social site characterisation is similar to the common steps of stakeholder identification, mapping, and response however, the term was chosen to resonate with technical experts involved in CCS who are keenly aware of the importance of site characterisation for ensuring the integrity of a CCS project. Social site characterisation draws its reference from the critical role of geological site characterisation for CCS projects, expanding the concept however, to suggest that in addition to assessing the technical and/or physical characteristics of a site, one should also consider the social – or human – characteristics in selecting and designing projects. 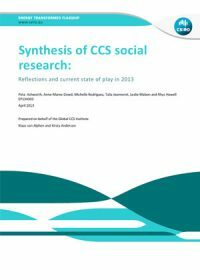 This report begins to examine why and how to conduct social site characterisation for CCS projects. Part 1 reviews a selection of social science literature that could provide insights to CCS project development. 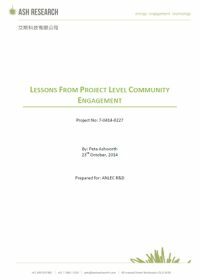 Part 2 includes a series of practical Social Site Characterisation activities and workbooks to assist project proponents with the application and implementation of in-depth understanding of the local community. It is recommended to be utilised in conjunction with the Communications and Engagement Toolkit for CCS Projects. 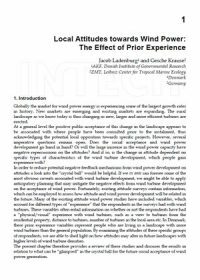 This chapter, authored by Jacob Ladenburg and Gesche Krause, from the InTech book ‘From turbine to wind farms - technical requirements and spin-off products’, describes public acceptance of their changing rural landscapes as turbines are erected. This report is about the social acceptance of utility-scale renewable energy projects. In particular, it focuses on concentrating solar power (CSP) plants in the San Luis Valley (SLV or Valley), a large, sunny, high desert in south central Colorado, located within 200 miles of greater Denver. 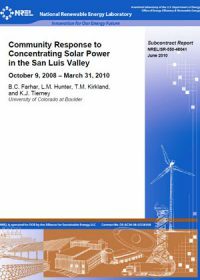 The research focused on social factors that may facilitate and impede the adoption and implementation of CSP—a technology that captures the sun's thermal energy using curved mirrors to focus sunlight onto a high temperature receiver.